No, no exclamation point on that one. Not that my intention is to be sarcastic or insincere, but I don’t have exclamation points in me quite this early in the week. I’m a little tired, is what I’m saying. But it’s all for good reason. Yesterday I went on a small, semi-contained shopping spree (I bought ramekins- expect to see individually-sized dinners soon) and on Saturday I hosted a bit of a get together. I’ve said it before, and I’ll say it again: people like you better when you serve them slow cooked meats. I had the intention of making some kind of shredded meat for my guests, and decided that I’d go with whatever was on special at the store. 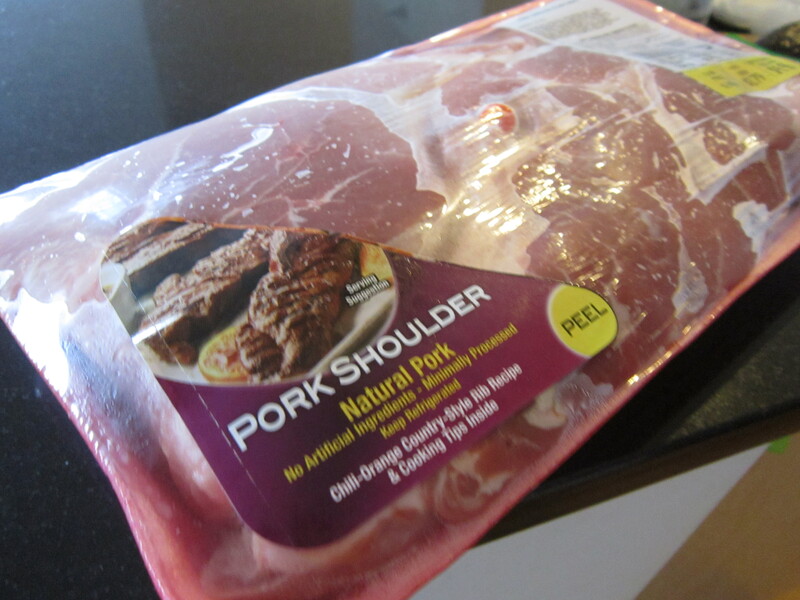 This 2 1/2 pounds of pork shoulder was on sale and it was only about $4.50. And, we have a winner. 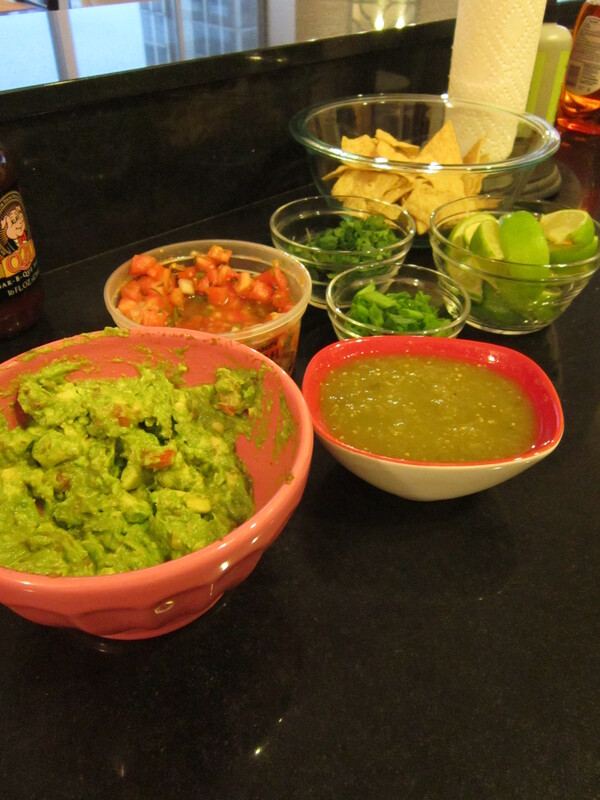 I checked out a bunch of recipes for carnitas and wound up making a Frankenstein-type combo of this Smitten Kitchen recipe (for the method and the DELICIOUS FAT) and this Skinnytaste recipe (for the flavors). 1. 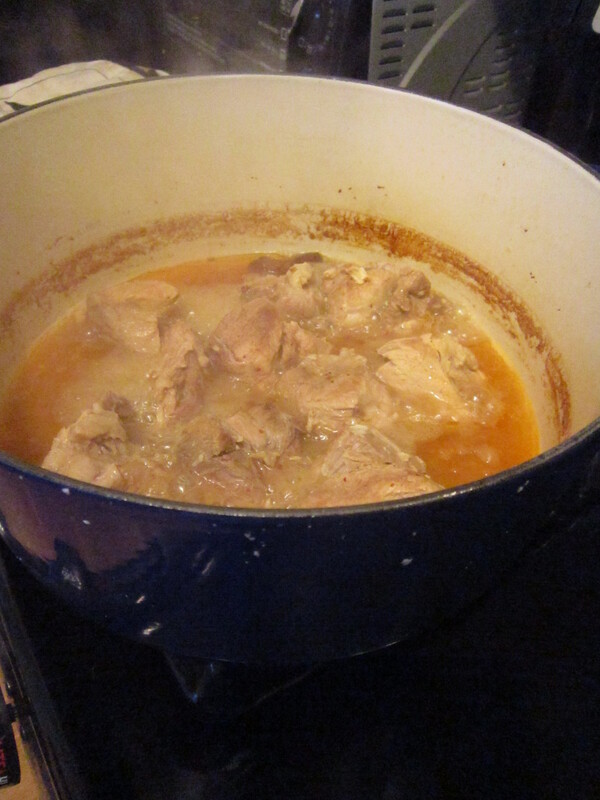 Place pork, garlic, chipotles, sauce, adobo seasoning and the juice from the lime in a heavy-bottomed Dutch oven. 2. Pour enough water in to just cover the meat. 3. Bring to a boil and reduce heat to medium-low and simmer for 2 hours. Set it and leave it- don’t mess with the meat. 4. 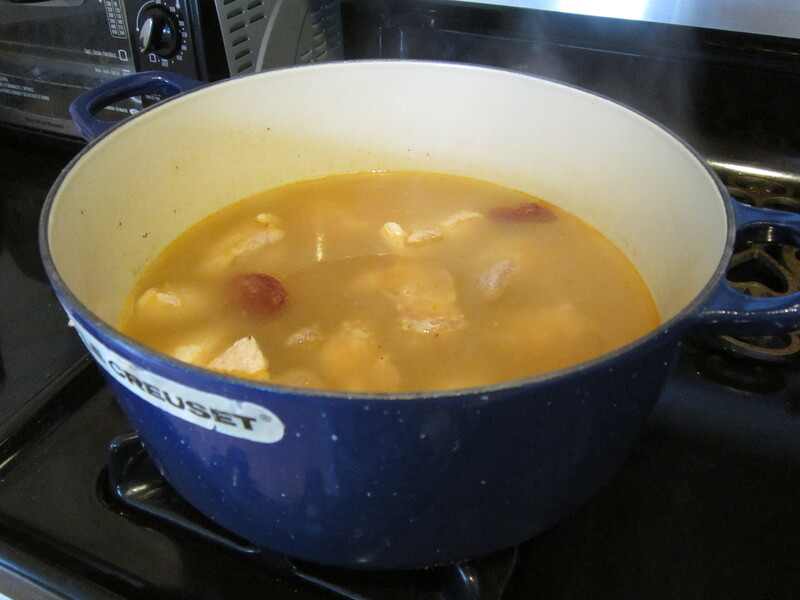 Increase heat to medium-high and allow liquid to reduce, occasionally turning the meat. 5. Once the liquid has cooked off, you will be left with the rendered fat. Allow pork to fry up, carefully turning until browned on all sides. 6. With forks or tongs, shred pork and serve. Note: if you are putting this out for a party or otherwise not serving it immediately, transfer to a slow cooker over low heat with a few splashes of chicken broth and it will be ready when you are. It would be difficult to make this recipe any easier. Everyone likes a toppings bar. I should add that to the list of things to serve people so that they’ll like you more. 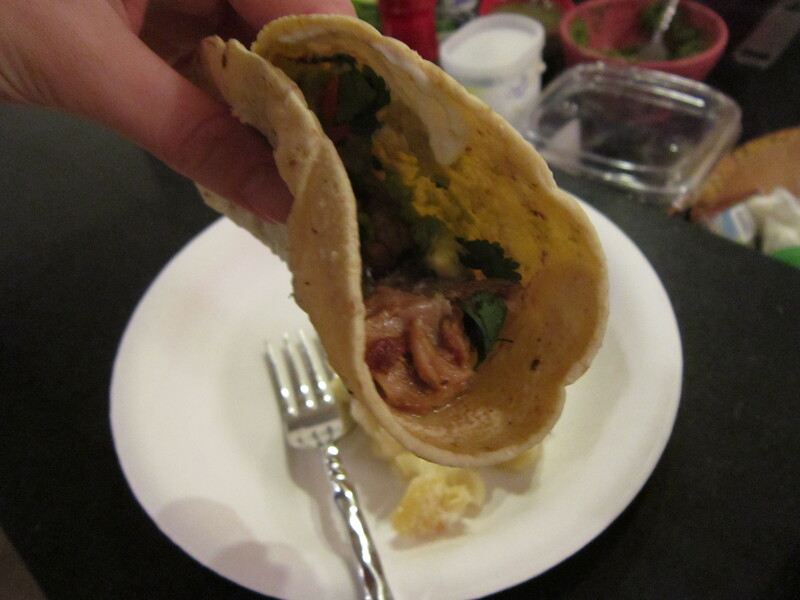 Oh, and my taco is obscuring the OTHER deliciousness on my plate. I made mac ‘n cheese, too. And I added bacon to this batch. I’ll try to pretend I didn’t see you roll your eyes. We all know how I feel about mac ‘n cheese. So I don’t eat meat but I’m still super impressed that you can cook so effortlessly. The topping bar alone sort of blew me away! Topping bars are really just such a glorious thing, aren’t they? Slow cooked pork has a special place in my heart, but right now, I wish it were in my belly. Can I come for dinner??? Yes, yes you can. Call me when you’re here. 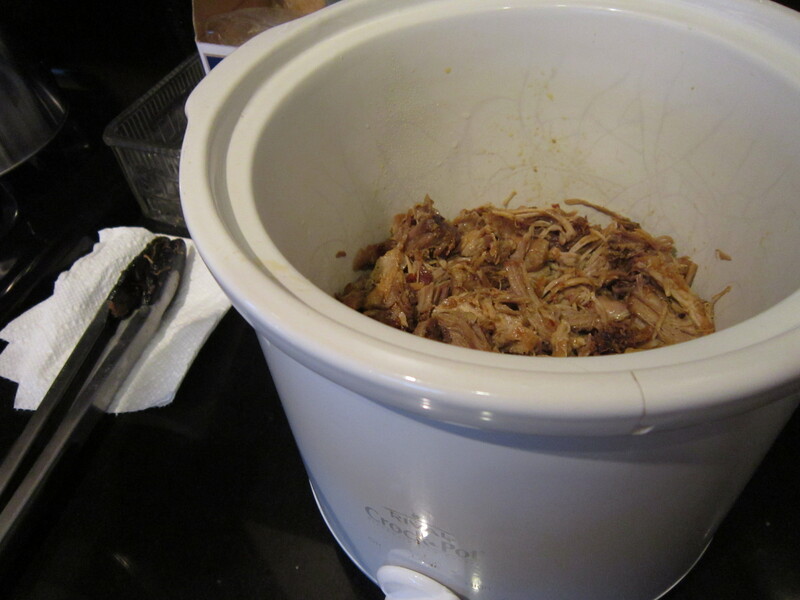 Carnitas (actually, any slow cooked shredded meat really) is such a crowd pleaser. AND you paired it with a taco bar? Forget friendship bracelets…carnitas tacos is where it’s AT. Agreed. Who says you can’t buy your friends? Nothing is more delicious than a meal that involves a topping bar, in my opinion. hahahahaha I love that line so much. But I do agree with you. I don’t like meat, but when you cook it slow, even I can’t resist the deliciousness.